A mimosa is a classic brunch cocktail. But, it doesn’t always have to be boring orange juice. Try this pink grapefruit sorbet mimosa for a fun twist on an old classic. If you think of any brunch, bridal shower or even mother’s day event you’ve been to, chances are it involved mimosas. At least, it did if you it was fun (hehe). I love changing up mimosas to add new and different flavors while still keeping it a simple cocktail that doesn’t require a lot of work to prep. 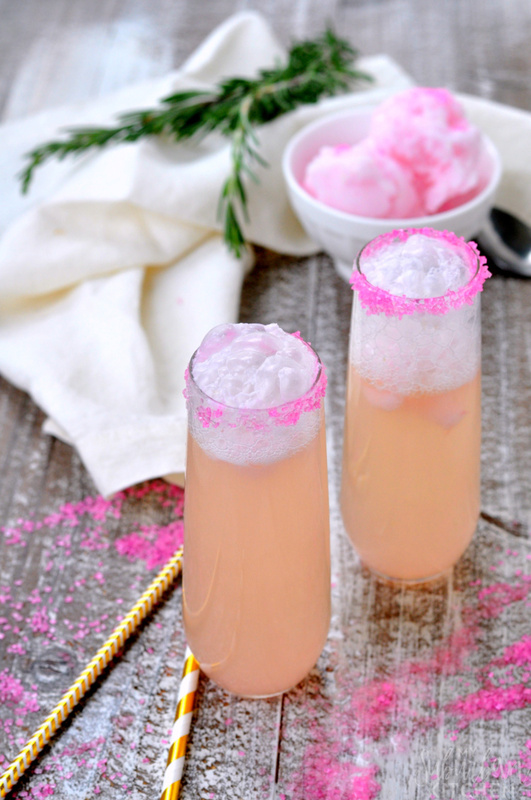 This pink grapefruit sorbet mimosa is perfect for any event and requires just two ingredients. You can definitely make these as simple or as festive as you like. 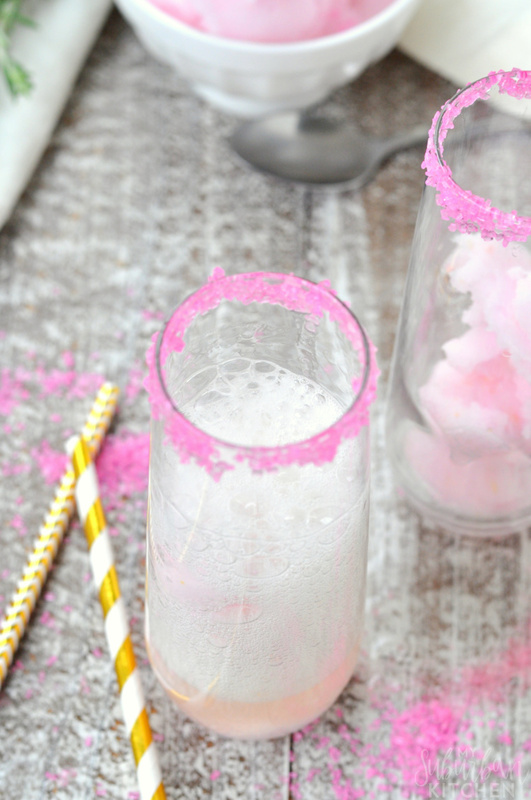 I love putting pink sprinkles around the rim of the glass for a little extra fun. When you are making these, be sure your champagne or prosecco is very cold before mixing with the sorbet. That way, you get less bubbling over and you don’t melt the sorbet completely. 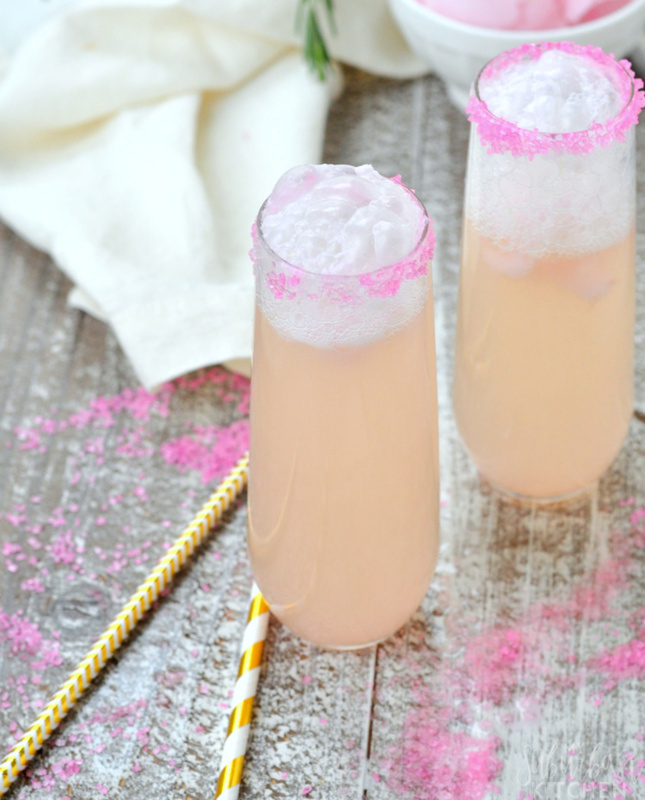 If you prefer your cocktails on the sweeter side, you can swap the Champagne with Prosecco or even Asti. These are super simple to make by the glass or by the pitcher. For parties, by the pitcher is, of course, way easier because then everyone can just serve themselves. I usually add a small scoop of sorbet into each glass and let people pour their own mimosas from there. Get all the details for making this by the pitcher below. 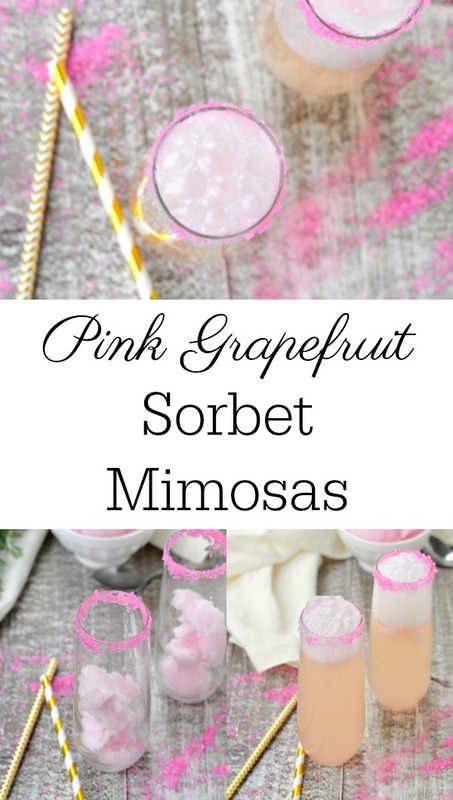 If you make this pink grapefruit sorbet mimosa, I’d love to hear to about it. Let me know in the comments or snap a photo and tag it #MySuburbanKitchen on Instagram or Twitter. 1. 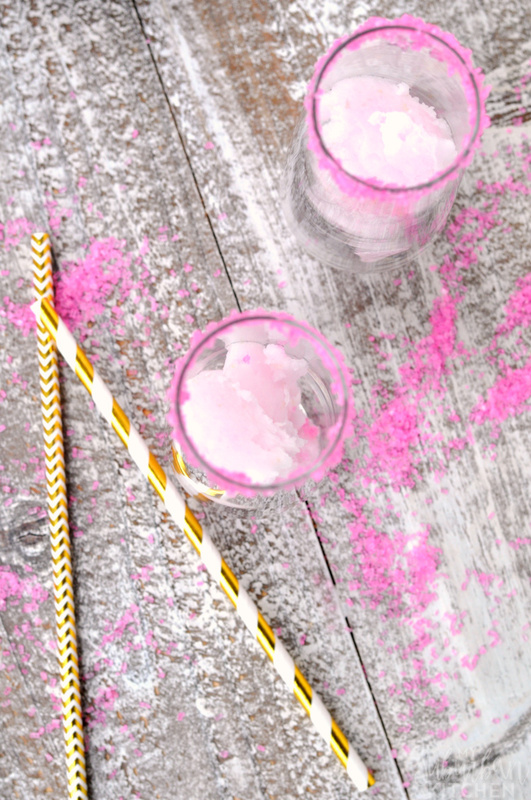 If using garnish, wet rim of glass and then dip into pink sprinkles. 2. Spoon pink grapefruit sorbet into glass. Top with Champagne or sparkling wine. The pink grapefruit sorbet is pretty tart so, if you prefer a sweeter cocktail, swap the Champagne for a prosecco or Asti which is a little sweeter.